The Veco One is a unique little device that can pump out some massive clouds. It's different than a lot of the other starter kits on the market because it's smaller and it's actually an unregulated device. I usually don't review unregulated devices because they're more for the super advanced vapers who want to explore every facet of vaping. This pen is not that kind of unregulated device. By unregulated, I mean the battery isn't regulated. Don't confuse this kit with a mechanical mod. Those also don't regulate the battery but they're a lot different. This unregulated starter pen is different than your typical unregulated mod. The main difference between this pen mod and your typical unregulated mod is the battery and the safety features. The Veco One has a 1,500mAh internal battery. The battery is not removable and you can charge it via the USB port on the side of the pen. A normal unregulated device takes external batteries. I don't recommend unregulated mods that take external batteries because there are more risks associated with them. There's nothing wrong with them, I just can't ensure that everyone follows the proper safety protocols so I stick to devices with safety features. If you want to explore true mechanical vaping, by all means go for it. You'll get a great vaping experience but just make sure you follow the proper safety procedures. The internal battery has its own pros and cons. Really, the whole kit is pretty solid and the main con is with the battery. It's also one of the benefits. For starters, I like the internal battery because it's safer. With external batteries, you have to maintain them and make sure they stay in great shape. If the wrapping get's damaged, you have to get them wrapped again. You can't carry them in your pocket without a protective sleeve. You get the point? 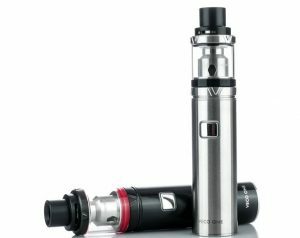 If you're looking to quit smoking or just have a no-frills setup, an internal battery just makes sense. There's just a lot more to worry about with external batteries. That's why I'm a fan of this unregulated mod with an internal battery. You don't have to worry as much about battery safety but you still get an unregulated experience. The internal battery presents a downside, and that's recharging. With external batteries, you can have an extra one with you and just swap them out when need be. With internal batteries, you have to recharge the pen and can't use it while it's charging. The main con with the battery is the capacity. It's 1,500mAh which isn't all that big. It will last for a few hours of moderate vaping, but it won't last all day unless you baby it. This con is also part of what's good about this starter kit. 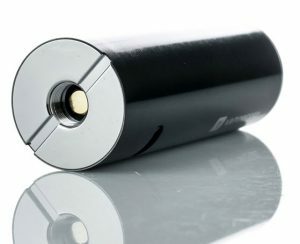 Since the battery is medium capacity, they were able to fit it into a small body. The whole pen is 22mm wide and 110mm long. That's pretty darn small and is perfect for vaping on the go. 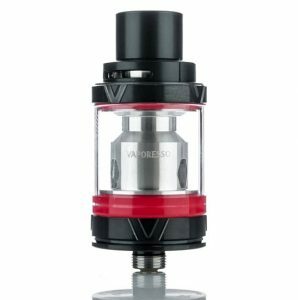 This kit comes with the Veco sub ohm tank which can chuck some nice clouds. The two coils that come with it are both 0.3 ohms and vape nice and smooth. One is features the latest ceramic technology and the other is a nice clapton coil. Both of these coils produce some good quality vapor. One thing that's worth mentioning is that this starter kit doesn't come with any extra o-rings so be sure to be easy on them. Make sure they are in place before taking a rip. The tank holds 2mL of vape juice which is nice given it's compact size. There are larger pens with the same capacity which can be annoying. I like for my low capacity setups to be small, like this one. When I carry a bigger device, I wan't it to have more power and a bigger tank. A lot of the kits that look like this one have a unibody design. For the record, I'm not a fan of the unibody design but I'll admit, it does have it's benefits. This pen has a fully detachable tank. Unibody pens have built in tanks which makes them impossible to replace if something goes wrong. I love that this pen has a detachable tank, making repairs a breeze if anything ever breaks on it. Overall, I think this pen would be a great purchase for a lot of vapers, but not everyone. 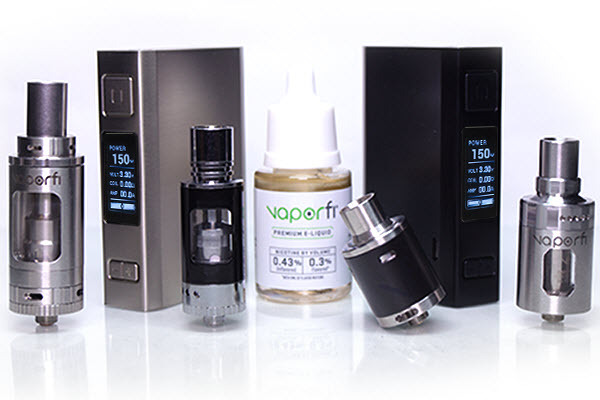 It produces quality vapor that will deliver nicotine to your body reliably. It's a no-frills pen, boasting a 1,500mAh internal battery and a one button interface. Whether or not you should get this pen depends on what you're looking to achieve with your next purchase. But if you are looking to transition from smoking, this would be a great option. If you just want something that is easy to use and allow you to enjoy vaping, this pen would suite your needs. Those are the main two types of vapers I recommend get this pen. Vapers looking for an easy to use pen and vapers looking to put down the cigs.